On a cool day in November 1940, the world of off-roading changed forever. Maybe not that day, but it marked the beginning of something new: the era of the Jeep. We are all aware of the Jeep phenomenon, but sometimes it’s good to remind ourselves of where it all started. Here’s a brief history of Jeep and the Jeep Willys they were born from. 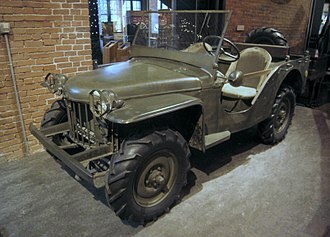 Willys-Overland Motors was an American car company that built the first Willys “Quad” Jeep. It was delivered to the Army in November of 1940. It not only met and surpassed the Army’s needs, it beat out the competition as well, an entry by both Bantam and Ford. 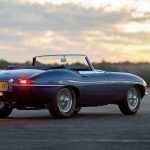 It featured a whopping 60 horsepower and 105 pound-feet of torque. Slight refinements were made, and then Willys built 1,500 units of what became known as the MA model. Many of these vehicles were used in World War II. In the early to mid-1940s Willys built the MB model, which would be the real predecessor to what we call the “Jeep” today. It was the first go anywhere, do anything 4-wheel drive, and soldiers loved them. There were over 300,000 of these units produced, and the Army issued 144 of them to every infantry unit. Great Britain and Russia also bought Jeeps for their military use as well. 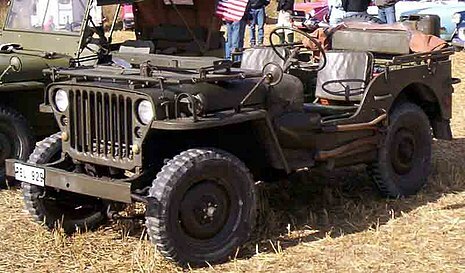 As the Jeep evolved, Willys learned about battlefield needs and added a waterproof ignition system to the M-38, produced in the early 1950s specifically for the Korean War. That model became the M-38A1, a more rounded design with a more powerful engine and a more comfortable ride. At the same time, Willys branched out to making larger body style vehicles like the M-170 which could be fitted with several different body types. They were used as ambulances and light troop carriers (see the old television show M*A*S*H for examples). 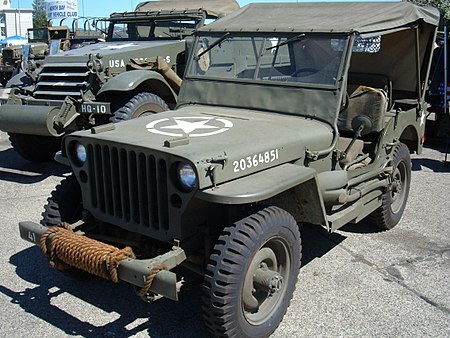 Soldiers loved the Willys vehicles so much that even at the close of World War II, the company started selling a civilian version of the Jeep known as the CJ-2A, produced until 1949. The CJ evolved quickly, getting a new windshield in the early 1950s, and an improved Hurricane engine in 1953 that powered the Jeep until 1965. That motor was in large part due to Jeep’s brand acquisition by Kaiser Motors. 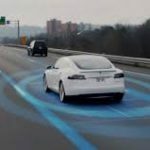 At the same time, the company offered a DJ model, a two-wheel drive version often used as a rental car in various locations. Soft tops, drop tops, and hard top versions were all offered. American Motors Corporation (AMC) purchased the Jeep brand in 1970. 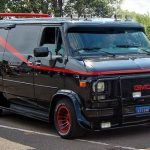 And in 1971 they created AM General, the company that eventually created the Humvee. 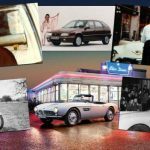 Renault began investing in AMC in 1979, and Jeep introduced the XJ Cherokee, its first SUV. 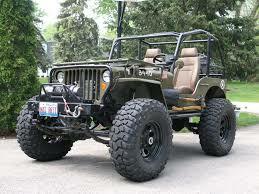 The Jeep CJ models often overlapped. The CJ-5 and CJ-6, a longer wheelbase version, were available at the same time. There was also a DJ-6 2-wheel drive model available. They were replaced in North America by the CJ-7 in 1976. The CJ-7 is considered to be the precursor to today’s Jeeps. The CJ-8 was also available, an open back, pickup style Jeep. Both lasted until 1986. 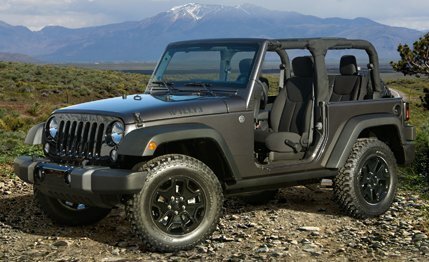 The replacement of the CJ with the Wrangler started a new era for Jeeps and for the automotive industry in general in 1987. There are many sub-groups of these Wrangler models as well, and a few not sold in the United States or produced overseas by other manufacturers using the Jeep brand and logo. Of course, Jeep also has a number of SUVs and other vehicles under the brand. From the Wagoneer and Cherokee to the Comanche pickup and now the Renegade, Liberty, Compass, Commander, and Patriot smaller SUVs, Jeep is a diverse brand with a loyal following. Although Chrysler still owns Jeep, the parent company itself has changed. In 1998 it merged with Daimler Benz to become DaimlerChrysler, who in turn became Chrysler Motors LLC in 2007. In early 2014, Chrysler became Fiat Chrysler Automobiles. Jeeps have long been built in the U.S. in Toledo, Ohio. Cherokees and Wranglers are still built there, though not in the original Willys factories. All Grand Cherokees are currently built in Detroit. Jeep has a long and rich history of vehicles that can go anywhere and do anything. From the original Willys to AMC and Chrysler, their heritage lives on in both the function and spirit of Jeeps from Wranglers to compact SUVs. From the beginning, loyalists have known that this history has endowed these vehicles with special character. If you own a Jeep, you understand. It’s a Jeep thing.